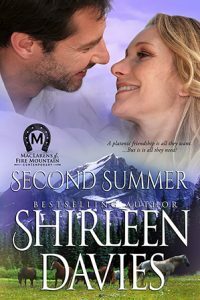 “In this passionate Contemporary Romance, author Shirleen Davies introduces her readers to the modern day MacLarens starting with Heath MacLaren, the head of the family.” Book Review. The Chairman of both the MacLaren Cattle Co. and MacLaren Land Development, Heath MacLaren is a success professionally—his personal life is another matter. Following a divorce after a long, loveless marriage, Heath spends his time with women who are beautiful and passionate, yet unable to provide what he longs for . . .
. . . Heath has never experienced love even though he witnesses it every day between his younger brother, Jace, and wife, Caroline. He wants what they have, yet spends his time with women too young to understand what drives him and too focused on themselves to be true companions. It’s been two years since Annie’s husband died, leaving her to build a new life. He was her soul mate and confidante. She has no desire to find a replacement, yet longs for male friendship.